I offer instruction in playing the fiddle in Celtic styles for youth and adult, raw beginner to advanced player, whether you read music or wish to learn by ear. Lessons are typically one hour long at my home in Addison, VT, and include instruction in technique, relevant theory, and musicality consistent with the style being played. Students can expect a welcoming, non-intimidating atmosphere in which mistakes are accepted as part of the process. I teach techniques in the context of tunes, and use primarily tunes from the Scottish fiddle tradition as my teaching material. Techniques learned can then be applied to whatever style of fiddling you choose to pursue. If you do not own a fiddle, and are leery of committing to a purchase, it is possible to rent one from the Burlington Violin Shop. As you grow in size or improve, upgrading to a larger or better model is possible. 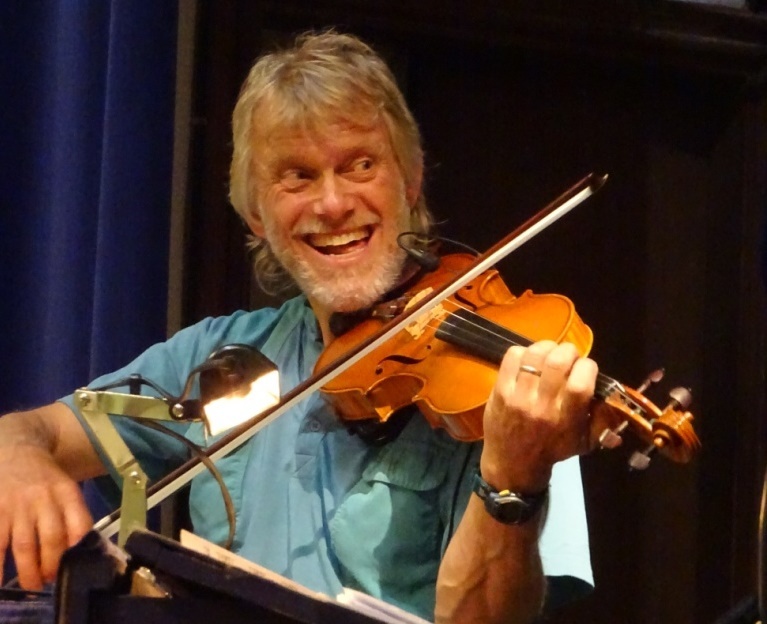 I have extensive experience of teaching workshops in both the UK and the USA, including the Hands-on-Music series in England, Pinewoods Camp in Massachusetts, the Flurry Festival in Saratoga NY, the Northern New Jersey Folk Project, New Hampshire Highlands, and at Middlebury College in Vermont, to mention a few. Each workshop usually follows a specific theme, and I am happy to tailor this to the needs of the musicians. Whilst aimed primarily at fiddlers, other musicians can usually derive benefit from attending one of my workshops. Please contact me to see if I can offer what you're looking for.